An international team of researchers, led by Albert J. Fornace, Jr., M.D., professor in the departments of biochemistry and molecular & cellular biology, oncology and radiation medicine at Georgetown University School of Medicine, has developed an in vitro transcriptomic biomarker that can predict, with up to 90% accuracy, whether a drug candidate or other chemical compound is likely to cause the type of cellular injury that can lead to cancer. The TGx-DDI biomarker comprises a panel of 64 transcribed genes that reflect cellular stress response due to DNA damage. And unlike current genotoxicity assays, which demonstrate high rates of false-positive results for cancer risk, the TGx-DDI panel can distinguish between DNA-damaging chemicals that are potentially carcinogenic and those that may be toxic to cells at high levels, but which do not pose a cancer-causing risk in vivo. “Compared to older tests, our approach allows for very accurate and high-throughput screening of chemical compounds that cause DNA damage and, potentially, cancer in humans,” comments Prof. Fornace, who is also a member of Georgetown Lombardi Comprehensive Cancer Center. The team’s paper “Development and Validation of a High-Throughput Transcriptomic Biomarker to Address 21st Century Genetic Toxicology Needs, was published recently in the Proceeding of the National Academies of Science. Genotoxicity leads to genetic changes and instability that can cause cancer, so genotoxicity testing is a key component of evaluating the safety of experimental drugs and industrial or environmental chemicals, the authors explain. There is, however, a “critical need” for improved, accurate, and reliable genotoxicity assays. Current tests, and in particular mammalian cell assays, have high sensitivity, but can suffer from low specificity. This means that they may generate high rates of “irrelevant positive findings”—or positive in vitro results that do not translate to an actual risk of carcinogenesis in vivo. False-positive results typically mandate costly and time-consuming follow-up tests in animals. “Many of these 'positive' findings are not caused by initial DNA damage, but rather arise as a result of cytotoxicity or other nongenotoxic mechanisms,” the authors comment. And if animal testing isn’t feasible, or is just too expensive, then promising drug compounds or chemicals may be withdrawn from further development. 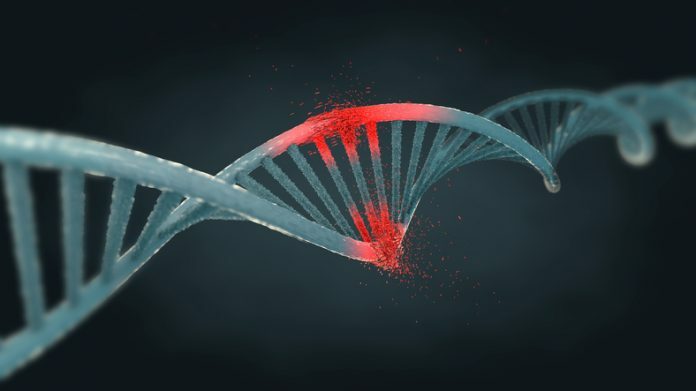 To address this need, the Georgetown University team, working with scientists in the U.S., Germany, and Canada, developed a transcriptomic biomarker-based approach to distinguish DNA damage-inducing (DDI) agents from non-DDI agents. They built a reference database containing the global gene expression profiles of 28 model agents that exhibit a range of known toxic mechanisms. From this reference dataset, they derived a transcriptomic biomarker, TGx-DDI, that could discriminate DDI chemicals from non-DDIs. The biomarker was first tested in the Georgetown University researchers' laboratory, and in external laboratories, in different cell culture models, and using different platforms. The team then used the system to test 45 different chemicals that have different, but well-studied, mechanisms of actions, including 10 chemicals that generate irrelevant findings in standard in vitro CD assays. All of the known DDI agents tested positive against the TGx-DDI biomarker, and all of the chemicals that were known to be noncancer-causing, and so negative for genotoxicity, tested negative. Importantly, nine out of 10 results were negative for chemicals that score positively in conventional laboratory genotoxicity tests, but that do not represent a cancer risk. “Overall, our results indicate that application of the biomarker in genotoxicity testing could significantly increase the efficiency of derisking irrelevant positives in chromosome damage assays,” the researchers state. And given that the TGx-DDI biomarker comprises just 64 genes, it could be developed for automated high-throughput screening applications. “The goal is to continue to develop and use this biomarker in a simple, inexpensive, and rapid method that can be easily integrated into the safety evaluation of compounds and chemical series to identify genotoxic effects in vitro that are relevant to in vivo genotoxicity.